After releasing a weekly folk song for a year, BBC Radio 2 spins and glowing press reviews, York based Joshua Burnell & Band take to the stage to launch a brand new album in 2019. In 2017, Joshua and his band won The Great British Folk Festival audience poll for favourite act by an overwhelming majority and received the ‘Highly Commended Best Performing Artist’ award at the York Culture awards. Armed with ‘The Road To Horn Fair’, a brand-new album of traditional material which according to Joshua, “juxtaposes the delicacy of the English folk canon with the rawness of the early 70s hard rock movement,” the band are ready to set some feet stomping on their first national tour of England. Nick Harper is one the UK's best kept musical secrets. Those who have witnessed the spellbinding, one-man show will tell you this. A childhood growing up surrounded by the musical prowess of some of the 60's most revered songwriters & musicians, not to mention being son of Roy Harper, along with 20 years of crafting songs & touring the land has spawned a truly one-off, original guitarist & songwriter who stands alone as a UK great, to be cherished & revered. '58 Fordwych Road' is an all new show that centres around a living room in a small flat in Kilburn, London in the mid 1960s. Then the abode of up-and-coming singer-songwriter Roy Harper & his wife Mocy. The flat was an after hours hang-out for the legends who played at Les Cousins in Soho at the height of the acoustic explosion in swingin' sixties London. People like Bert Jansch, Davy Graham, John Renbourn, Paul Simon, Marc Bolan, Sandy Denny & others dropped in, to drop out, jam & try new tunes. But, all along, there was someone else there...a toddler, part of the family, inhaling the music & absorbing the vibe; Roy's young son, Nick Harper. Nick later carved out his own career in music, but in this unique & one-off show he plays tribute to the time, the place & to the music that became the centre of everything for him & the rest of this 'family'. The show will run over two halves. The first will see Nick delve into the deluge of songs he heard direct from the greats when growing up. In the second Nick will trace the journey of how these luminary figures' music evolved & helped shape popular music beyond the sixties & revisit the eternal themes that run from then to now in songs of his own fine repertoire. FIRST SHOW OF NATIONWIDE UK TOUR! We are delighted to be joined by the wonderful James Hollingsworth - "One of the best song writers in the country" - Bristol Rocks. Ace guitarist and acclaimed songwriter James Hollingsworth plays a great range of music from folk and blues to rock and psychedelia. He is incredibly talented both as a vocalist and guitarist, with a mean harmonica style to boot. Bar opens at the venue 7pm. In 2018, Edgelarks retreated to a remote Cumbrian cottage to write. With world rhythms, folk roots, and a very big sound for only two people, the album that emerged is an upbeat celebration, an incitement to hope. Join them as they celebrate the launch of Feather with a UK tour. Edgelarks began their musical journey together living in a small caravan in the hills near Exmouth, Devon. Phil had returned, Chaturangui in tow, from studying slide guitar in India with the master musician Pandit Debashish Bhattacharya. Hannah had grown up playing fiddle at traditional folk sessions. The pair met when they were both recruited to alt-roots outfit The Roots Union and when the band folded, Phil and Hannah formed a duo. Spotted busking on the seafront at Sidmouth Folk Festival by champion of independent music Steve Knightley, they soon found themselves touring nationally, supporting the likes of Show of Hands and Seth Lakeman, and eventually winning the prestigious Best Duo award at the 2014 BBC Radio 2 Folk Awards. From recording their first album, Singing the Bones, at home in their living room, they have gone on to produce four more records, each time refining the process and honing their production skills – Mynd, Live in Calstock, and Watershed (which garnered them a second nomination for Best Duo at the BBC Folk Awards in 2016.). With the fourth album, Edgelarks, came another Folk Award nomination, and the decision to adopt the band name. BBC Radio 2 invite you to an evening of greatest hits from the world of musical theatre. Ed Balls presents as Bramwell Tovey conducts the BBC Concert Orchestra and special guests Ben Forster and Hannah Waddingham in a selection of show tunes from the pens of Rodgers and Hammerstein, Jerry Herman, Lerner and Loewe, Frank Loesser, Stephen Sondheim and many more. Friday Night is Music Night was first broadcast in 1953. Its brief was ‘to create a Friday-night show which would help people relax after the week’s hard work and put them in the right mood for a happy weekend’. This heady mix of popular works, film music and songs from the shows has entertained millions of audiences across the globe. Once every few years someone truly brilliant appears on the world’s concert stages. Pavel Kolesnikov is such a musician with an international career developing at an astonishing rate. His programme is perfectly balanced between the elegant classicism of early Beethoven, the lyrical romanticism of Brahms and the striking virtuosity of Tchaikovsky. Generously supported by Lady Evelyn Strasburger. UNITY brings together 2 choirs with songs from many lands and cultures. Bath’s very own Walcot State Choir celebrates its 20th Anniversary by inviting a sister choir from Penzance to share the stage. We bring you a world of songs from the UK, Europe, Africa and beyond in fabulous rhythm and harmony. This is a Bath Fringe Festival and Bath Festivals event. 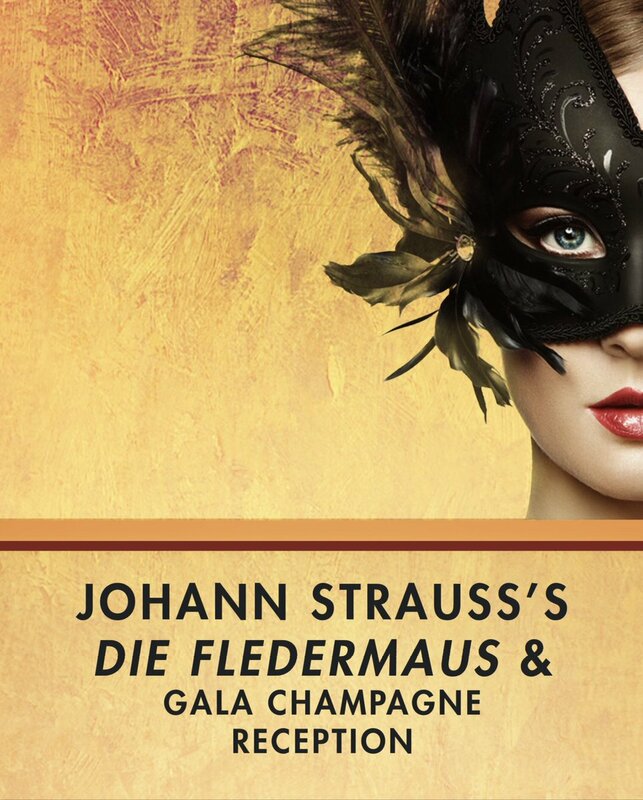 Johann Strauss’s classic operetta Die Fledermaus is a comic story of revenge, seduction and mistaken identity, centred on a high-society party thrown by Prince Orlofsky. Man-about-town Eisenstein is to be jailed, his wife is being seduced by an old flame, Dr Falke has a plan to exact revenge and everybody wants to go to the party! Starring legendary comic baritone, Simon Butteriss, and Nadine Benjamin as Rosalind, who is currently playing Musetta (La Boheme) with ENO. International conductor Oliver Gooch is Musical Director and will play piano; he is highly regarded by colleagues, critics and audiences alike. Antonio Pappano created a position for Oliver at the Royal Opera House as the first Associate Conductor (Vilar); in this concert hall he has conducted many of the major British orchestras including the BBC Symphony, Royal Philharmonic Orchestra, Philharmonia, Hallé and the Orchestra of the Royal Opera House. Lankum are one of the most talked about bands to come out of Ireland in decades. This Dublin four-piece combine distinctive four-part vocal harmonies, with arrangements of uilleann pipes, concertina, accordion, fiddle and guitar. Their instrumental interplay and dramatic storytelling pin you to your seat and revive the spirit. Lankum will be supported by guitar and banjo player Gwenifer Raymond who plays her own moody and often manic original American Primitive styled compositions, drawn from the roots music of Mississippi and Appalachia. Benjamin Baker is developing a fine international career, performing with orchestras such as The Philharmonia, the Royal Philharmonic and the English Chamber Orchestra. In demand as a recitalist worldwide he offers a beautiful violin recital with the grandeur of Beethoven matched with the impassioned romanticism of Schumann. We are delighted once again to be presenting the annual concert dedicated to the memory of Brian and Margaret Roper; a concert that encourages future generations to develop their love of classical music. Youth is at the heart of this wonderful evening’s music making with two BBC Young Musician finalists. Isata Kanneh-Mason gives her second performance at The Bath Festival with Clara Schumann’s piano concerto, and Proms star Jess Gillam, who took the Last Night of the Proms by storm, performs a Saxophone Concerto by John Williams, composer of Star Wars and Harry Potter. A fizzing evening of music is brought to a close by Ravel’s blazing Bolero. Following studies with artists as distinguished as Alfred Brendel and Stephen Hough and winning the ‘Most Promising Pianist’ prize at the Sydney International Competition, Daniel Lebhardt is set for international stardom. His programme ranges from the simple charm of Beethoven’s early sonata to the mellow beauty of Brahms’s late piano pieces. Bringing together musicians from bands like Suede, Gorillaz and Florence + The Machine, Penguin Cafe is a melting pot of influences and serious talent. Founded in 2009 by composer Arthur Jeffes paying homage to his father’s Penguin Cafe Orchestra of the seventies, this modern revamp continues to transcend the divisions between popular and classical music. Utilizing many different instruments and influences, Arthur creates new genre defying work that has a worldwide appeal, one that is warm, immediately likeable and strangely familiar. Penguin Cafe are back in the studio creating the band’s forthcoming fifth studio album, due to release in 2019, so Bath Festivals audience could be the first to hear some of their new music at the Pavilion this May. The award-winning vocal group, ORA Singers, brings to Bath a stunning concert of Renaissance and contemporary choral music from its critically-acclaimed new album, Desires. Described as “Crisp yet sensuous” by Erica Jeal in The Guardian, the concert focuses on the stunning texts of Solomon’s Song of Songs, with works from Palestrina to Gabriel Jackson and from Victoria to Jonathan Dove. Come and hear British choral singing at its very best! The Bath Festival Finale Weekend makes a welcome return to the Bath Recreation Ground on 1-2 June 2019. Following the unprecedented success of the inaugural Bath Festival Finale Weekend, Bath Festivals are pleased to announce the return of the Finale Weekend to our UNESCO city for 2019. Once again, the event will take place on the Bath Rec, primely situated in the heart of the city within walking distance of the train and bus station. Bath Bach Choir will perform its 2019 summer concert in front of the famous Scissor Arches at Wells Cathedral. The programme, which brings together Mozart’s Exsultate Jubilate, excerpts from Haydn’s Nelson Mass and the great Mozart Requiem, fulfills a long-held wish of the choir’s musical director, Nigel Perrin, to invite coloratura soprano Carolyn Sampson to perform with the choir. Miss Sampson’s 2019 schedule includes Bach in Tokyo, Handel in Philadelphia and, now, Mozart in Wells. Exsultate Jubilate – today one of Mozart’s best-known pieces of sacred solo music – is also a piece for which Carolyn Sampson is renowned, having made what is held by many to be the definitive recording. Although Mozart was just 16 when he wrote it, to many it’s the sound of a genius at the peak of his imaginative powers. Mozart’s Requiem transports us to the far end of his short life, and the work he believed he was composing for his own death, even though history confirms that it was commissioned by an Austrian count. He died before it was completed, and it remains one of the most powerful and poignant pieces in the choral repertoire. In lieu of an overture the concert opens with the ‘Kyrie’ from Joseph Haydn’s so-called Nelson Mass which, along with trumpets and timpani, also showcases the coloratura solo soprano voice. There is one intriguing link between the elements of this evening’s concert. Mozart wrote Exsultate Jubilate in 1773 for an Italian castrato opera singer named Venanzio Rauzzini, to wow audiences in Milan. Rauzzini eventually settled in Bath in 1780 and became director of the New Assembly Room Concerts. Haydn stayed with him as a guest for six weeks in 1794. Rauzzini died in 1810, and is buried in Bath Abbey.